The perfect way to start off summer is always a day of grilling accompanied by a good french fry. I know it sounds silly but I believe it to be true. Summer has arrived, even though it really hasn’t where I live, but if I am enjoying a feta stuffed burger, and yummy sweet potato french fries, it feels like summer. We were dying at how good this meal was!! We got a sneak peek of summer when Mother Nature blessed us with a day of 80 degree weather. It has been mostly anywhere from 65-70 for most of the last month, so 80 felt like summer! Of course we had a nice salad for lunch, and we had been building a cat scratching poll thingy allll day long, so we felt obligated to to the right thing and grill some yummy meat and cook up some fries! And the best part was I practiced how to make brioche buns the day before, so yup, it was meant to be, the fries, the burger, the sun, it was heaven. An added bonus, they are healthy, easy to make, and delicious. 1. Pre heat oven to 450 degrees. 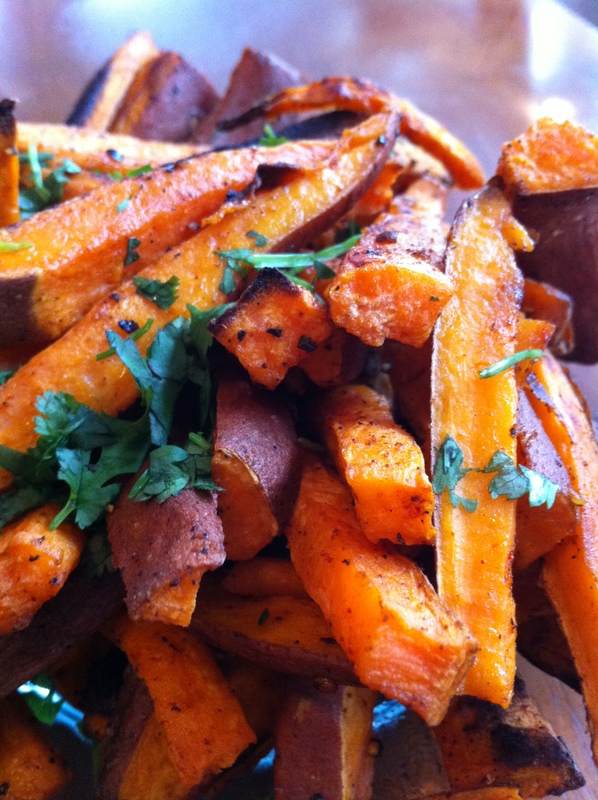 Cut the sweet potatos as evenly as you can, toss them in a bowl with the salt, pepper, chipotle or paprika, and olive oil. 2. Place a baking sheet lined with parchment paper, and bake for 25 minutes. Broil on high for 5 minutes at the end to have them a bit cripsy. 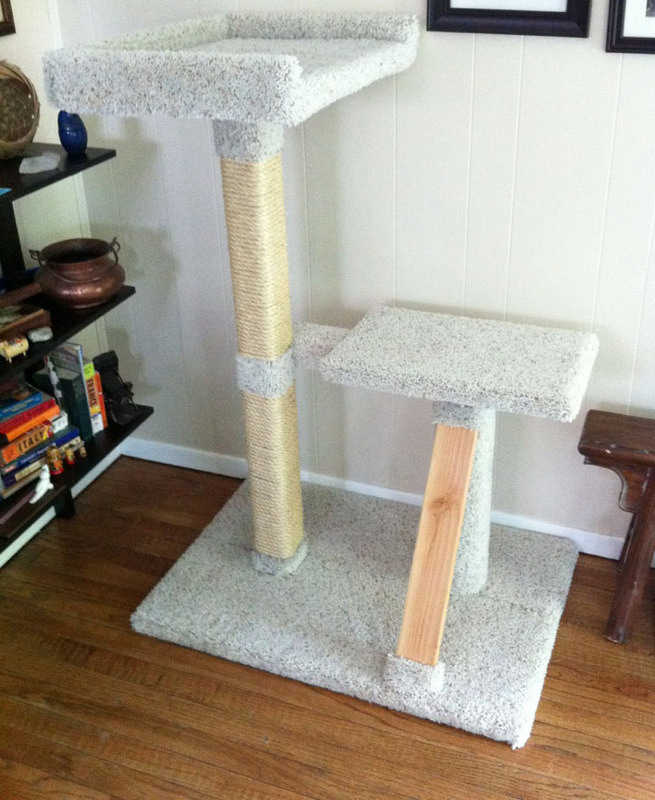 The cat scratcher poll thing we built that day!